E-mails obtained by the NBC Bay Area Investigative Unit show water district engineers warned the city generally about flood dangers days before the flooding began. More e-mails obtained by NBC Bay Area show water district engineers warned the city generally about flood dangers days before the flood. 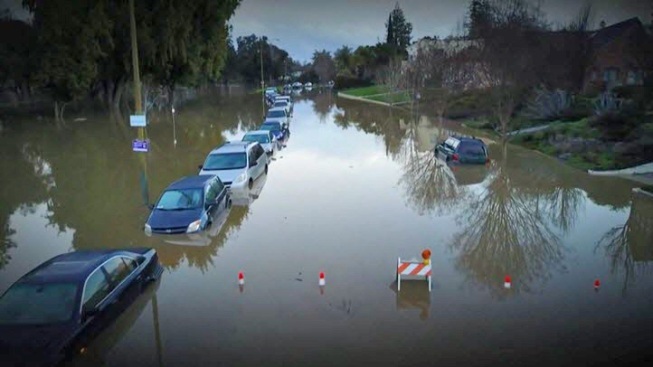 NBC Bay Area's Investigative Unit obtained more e-mail records Tuesday that show the Santa Clara Valley Water District had plans to re-work its flood forecasting for Coyote Creek sometime this year, but then the storms hit catching the district off guard. An e-mail sent by a water district engineer to the City of San Jose the week after the flood says the Anderson spill forecast model "wasn't as fully automated as our other flood forecast points, as this was slated to be developed this coming year." The e-mails also show water district engineers warned the city generally about flood dangers days before the flooding began on Tuesday, Feb. 21. On Thursday, Feb. 16, a water district engineer wrote to city officials about upcoming storms and said "if that hits as predicted we might be in big trouble." The e-mails obtained are part of a larger public records request filed by NBC Bay Area's Investigative Unit asking for all communications between the City of San Jose and the water district in the days leading up the historic flood.